The ruble gained 1.5 percent against the dollar Thursday, reaching 56.08, the best performance since December 2014. The Russian currency was buoyed by rising oil prices, but experts warn crude could be a false friend for the currency. On Thursday, the ruble marked its eighth consecutive day of gains, the best winning streak since mid-2013. The rise of the ruble is supported by high oil but that is only part of the newfound success, as gains this year have been not always been in sync with oil. 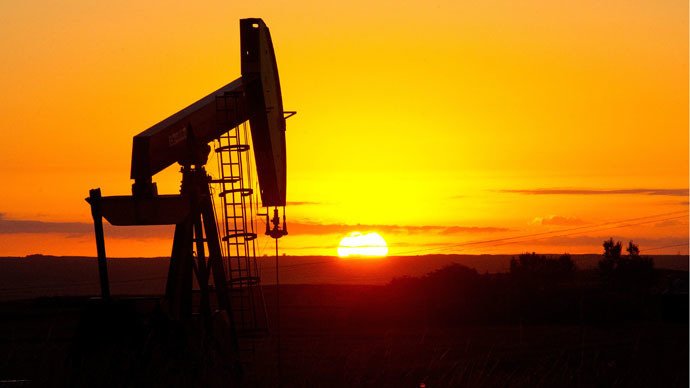 While Thursday’s success was attributed to unrest in Yemen and the threat to global energy Wednesday’s was not – a puzzle to analysts who are trying to gauge the ruble’s reliance on crude. 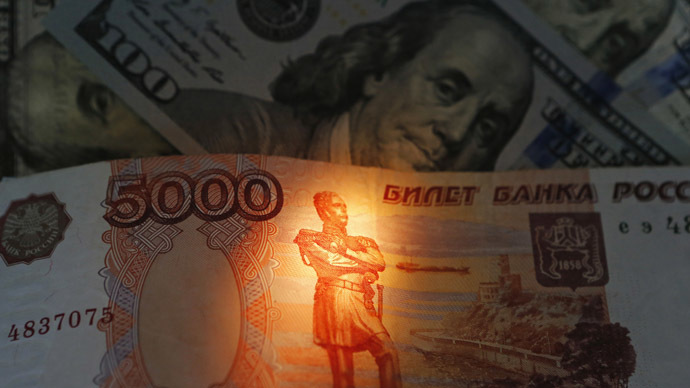 “Ruble dynamics, to the contrary, are also still a function of crude price trends – hence, recent ruble strength could be a short-term phenomenon,” Vladimir Tikhomirov, chief economist at Moscow-based BCS financial group, wrote in a March 25 note. In 2014, the ruble closely mirrored every action of oil prices, and the correlation was “excessively high,” between 90 and 100 percent, Vladimir Pantyushin, a senior strategist for Sberbank CIB, told RT. Now, the link between the ruble and oil is closer to 60-70 percent. In the last six months of 2014 Brent crude prices, the benchmark for more than half of the world’s oil, lost 50 percent in value, and the ruble lost about 44 percent. 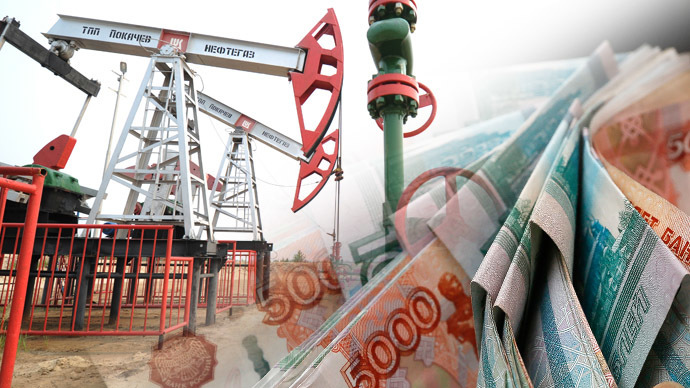 Oil has played a much less prominent role in the ruble’s exchange rate in the first three months of 2015. Thursday's success was also attributed to the Russian tax season, which prompted companies to buy up rubles in exchange for foreign currency. The trend is supported by Central Bank data, which shows that Russians are selling the dollars and euros they stocked up on in December. International monetary reserves increased for the first time since November 2014. Last week, from March 13-20, reserves rose $1.2 billion to $352.9 billion. In January, the same trend dominated, with Russians selling off $6.7 billion in dollars and euros at banks and exchanges. “The strengthening trend started a week ago, despite weakness in the crude oil price. This has surprised many Russia observers and prompted speculation that the currency has finally managed to decouple from the oil dynamic, a factor that has been driving the ruble for many years,” the BCS note said. The ruble’s rally has prompted Russia's Ministry of Economy to change their forecast predicting that the ruble will strengthen to 40 rubles against the dollar if oil prices return to $100 per barrel, the most positive of three scenarios ran. By 2018, the ruble could crawl back to 50 rubles per 1 USD, as long as oil prices grow by about 4 percent. The forecasts are contingent on western sanctions being lifted. “Overall, with Brent crude trading at $55/bbl, we believe the current Rb/USD rate (Rb56.8 /$) is an overshoot. We expect that once tax payments season ends in two days the currency will correct to its fair value which, at this level of oil prices, in our view is around RUB58-59/$ levels,” BCS said. Sberbank CIB agrees that the 55-56 ruble-to-dollar range witnessed in the past two days is a bit too optimistic, and in the second quarter predicts the ruble to trade in the 60-62 range. VTB, Russia’s second-largest bank, said that reaching 55 rubles is attainable, but not a given, as it depends on importer and exporters demand for foreign currency versus rubles. Last week, Finance Minister Anton Siluanov announced that the worst was over for the Russian economy, and that it had entered a period of stabilization. The breathing space is in thanks part to more steady oil prices in 2015, as well as the West’s reluctance to slap Moscow with more sanctions. On December 16, the ruble spun into a freefall, with the dollar hitting 80 and the dollar and crossing the 100 mark threshold versus the euro. Since what was dubbed “Black Tuesday,” the ruble has rebounded by more than 30 percent. The collapse in oil prices, and the subsequent devaluation of the ruble, has made Russia’s economic slowdown even more painful.